England U17s will kick-off the U17 Euro Finals on home soil against Israel, following Thursday’s draw. All 16 nations involved in the Euro Finals, which takes place across the Midlands and South Yorkshire next month, were involved in the draw at St. George’s Park. 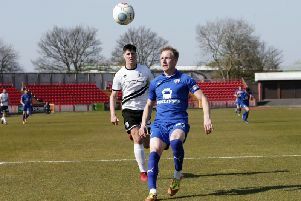 And Steve Cooper’s Young Lions head up Group A alongside Switzerland, Italy and Israel with their first game taking place at Chesterfield FC on Friday 4 May (7pm). Their second game will be against Italy at Walsall FC on Monday 7 May (3pm), before they head to Rotherham on Thursday 10 May (7pm) for their final group match against the Swiss. Tickets for all three England games are on sale now. The draw was made by England’s record goalscorer and tournament ambassador Wayne Rooney, who played in this tournament in Denmark back in 2002, and UEFA’s youth and amateur football committee chairman John Delaney. Three more venues at Burton Albion, Loughborough University and St. George’s Park will host fixtures from the four groups before the competition progresses to the quarter final and semi-final knock out stages. The Euro Final will be played at Rotherham United on Sunday 20 May. Fans of all ages can watch Europe’s future stars on their doorstep at affordable prices as tickets for all games in the Euro Finals are on sale now, starting from just £2 for children and £4 for adults. See the stars of tomorrow in the UEFA European Under-17 Championship, 4-20 May 2018. Find out more about the venues and ticket details.